Dubbed "Car-Nasty" for its head-scratchingly hard setup for the 1999 British Open, this ancient links dates to 1842 and has hosted seven Opens in all. Heather, gorse, jungle-like fescue rough, steep-faced revetted bunkers and the sinuous Barry Burn create havoc in the wind. 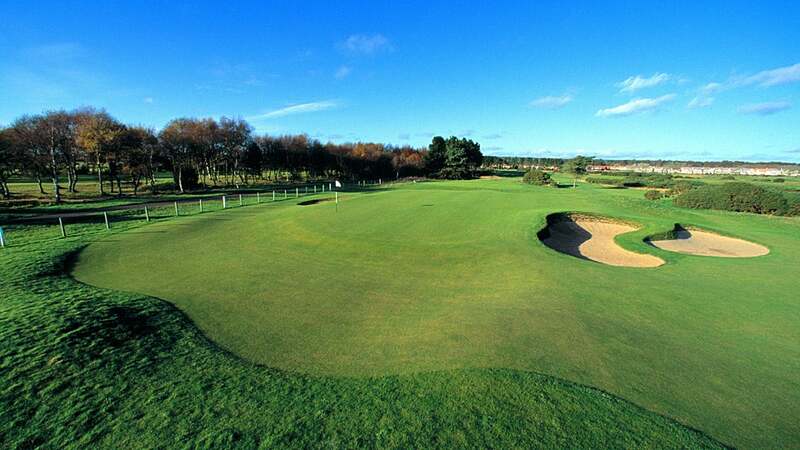 The toughest of the Open rota courses has witnessed winners such as Ben Hogan, Gary Player and Tom Watson. Its trio of closing holes, the mammoth 240-yard par-3 16th and the two rugged par-4s that follow have wreaked havoc on scorecards for decades, memorably to Jean Van de Velde's in 1999, when his chances drowned in the Barry Burn.